When unable to carry a pregnancy themselves, Intended Parents (IP) utilize another woman, often referred to as a gestational surrogate, who becomes pregnant by means of an embryo transfer and gives birth to the IP’s child. The embryo can be from both of the IP’s genetic material (egg and sperm) or donated genetic material (egg, sperm or embryo). Clients looking to create their family using a gestational surrogate must have separate legal representation during the entire process. All parties involved should consult an attorney before starting any medical procedure. An experienced attorney is required for all parties involved in a surrogacy agreement to ensure both the IP and the surrogate understand their rights and responsibilities throughout the process. 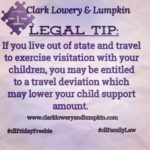 An attorney will represent each party during contract negotiations to determine details related to compensation/reimbursement and medical expenses for the surrogate, as well as medical decisions and procedures, ground rules for the surrogate’s lifestyle, etc. An attorney will also be responsible for petitioning the court to enter a pre-birth order during the surrogate’s pregnancy. This birth order requires the hospital and the Department of Health to enter the name of the IP on the child’s birth certificate, before the birth, so the IP is considered the child’s legal parents. In some cases, the pre-birth order is not possible and the IPs will need to complete an adoption after the birth. 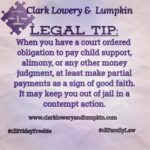 The attorney will need to obtain affidavits from all medical staff involved and legal surrenders from all parties involved (surrogate, her husband, any known donors, etc.). 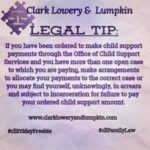 We, at Clark, Lowery & Lumpkin, are an experienced law firm that has successfully navigated the Georgia legal realm to provide successful gestational surrogacy experiences to families throughout the surrounding Atlanta area. We cover all areas of the process including negotiations and contracts and have represented all sides involved, including the IP and the gestational carriers. We are confident in our abilities and also have proven success in filing for and obtaining a pre-birth order to establish the IP as the child’s legal parents and would love the opportunity to assist you as you move through this experience. If you are considering gestational surrogacy and would like to know more about our services, please contact us to learn more about your surrogacy options.